The last time I was in Paris the crowds were bigger in front of the Ritz than they were looking at the statue in the middle of the square. 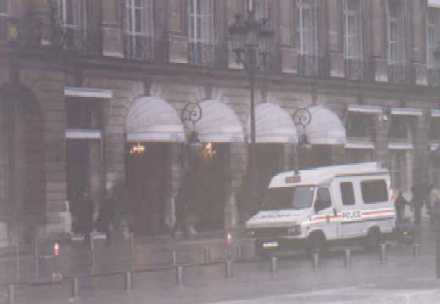 I saw several busses stop, people get out and look at the Ritz, and get back in without ever looking at the statue! It seems appropriate that the picture has a police van in it. I took this picture in 1999 with my wife and daughter along. 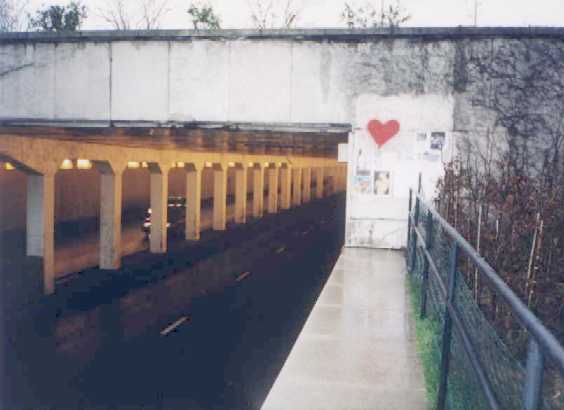 To the right is a picture of the memorial that has been built atop the tunnel on the west side. 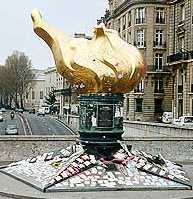 It is a copy of the Statue of Liberty Flame. 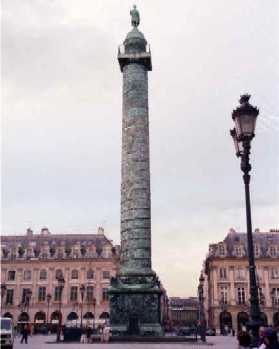 Above is the Place de L'Alma during the day. This is the westbound entrance that Diana's car entered. The thirteenth piller is the one the car crashed into. It was covered with Grafitti on my last visit. 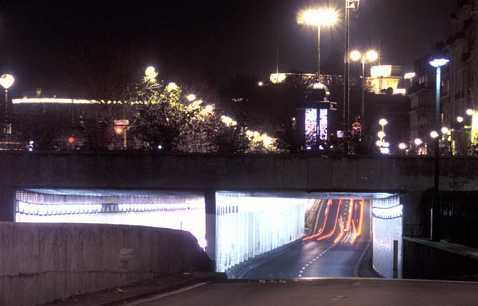 Below is the tunnel at night. This is what it would have looked like as the driver sped towards the piller.